FREDERICTON, NB – A new documentary film focused on the growing craft brewing scene in New Brunswick is currently in production, with an aim to be released later this year. 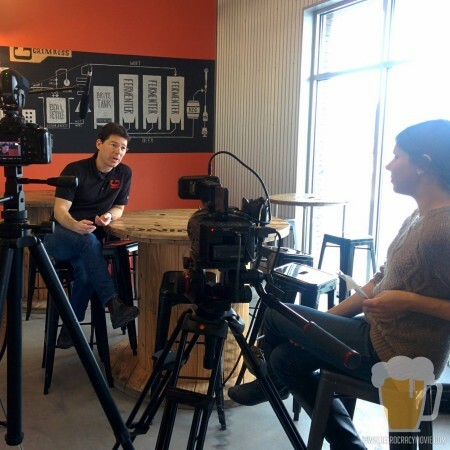 Beerocracy is being produced by award-winning filmmaker Alex Vietinghoff and writer & editor Shauna Chase (pictured above interviewing Stephen Dixon, owner of Grimross Brewing). The pair have conducted interviews with approximately 20 brewers and beer-lovers so far, with more to come before production wraps in the spring. For more details, see the Beerocracy website, Facebook page and Twitter feed.